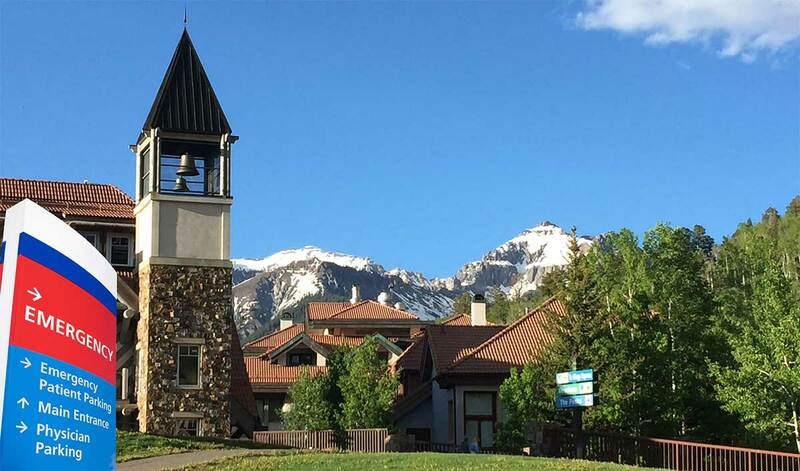 The Telluride Hospital District has officially closed a real estate transaction on a Mountain Village Lot designated for the building of a new hospital and medical facility in Mountain Village. The new hospital will be conveniently located behind Mountain Village Townhall and the Market at Mountain Village. Mayor Dan Jansen and the Mountain Village Town Council unanimously agreed in January 2015 to convey a one acre parcel to the Telluride Hospital District at reasonably reduced cost. "We are thankful and grateful to Mayor Jansen and the Mountain Village Town Council for conveying this parcel. We now officially have a piece of dirt on which to build our new facility," said Telluride Hospital District Larry Mallard. This is great news for all Telluride/Mountain Village residents and visitors. Currently, the only medical facility available in the area is located in downtown Telluride and lacks space needed for a full trauma and surgical departments where patients with severe conditions have to be transferred to hospitals in Grand Junction and Montrose. Green building design and a convenience location for pedestrians with easy access to public transportation. Surgical/Procedures room to be used by visiting specialists & emergency physicians for minor surgeries. Overnight hospital beds, a feature which is unavailable anywhere in the Telluride area. A helicopter landing pad (helipad) onsite.